One of the most infuriating things about higher education is how my bosses are perpetually receiving promotions and pay raises no matter how foul and incompetently they perform my job. 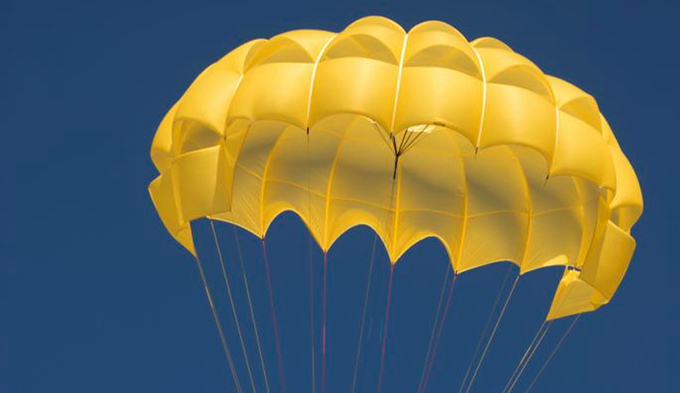 Stacked on top of this issue is, when finally their incompetence and or corruption is revealed as so extraordinary that they must be fired (or allowed to resign), they then get a magnificent golden parachute. Bosses commonly get half a million dollars or more when fired in this manner, even if they’ve only been at the institution a year or less. Meanwhile, scholars can only qualify for a 2% pay raise after five years or more of flawless work…and if a scholar resigns from an institution of higher education, he gets absolutely nothing, as the times I’ve resigned from corrupt institution easily demonstrated it enough to my own eyes. Before discussing the severance, let’s set the scene a little at this school, some 60 miles away from Chicago. Northern University is a small-ish school by modern standards, with around 14,000 students (down from close to 20,000 a few years ago). Tuition runs around $14,000 a year (up from $10,000 a few years ago), plus another $10,000 for room and board, plus another $10,000 if you’re out-of-state. They claim the median starting salary of alumni is $48,000, but I have to be a little suspicious (that’s not my salary after 30 years of honorable work with no black marks, and well above the national median salary). Their most notable alumni is the guy who does the voice of Homer Simpson, though I suspect very little the guy learned on this campus actually helps him in his current position. Anyway, the Poo Bah here is a failure, because growth, the only thing that matters to these people, has been quite negative at this school…if Poo Bahs get huge bonuses as rewards for growing the school, shrinking the school should count against them. It never does. He’s also failed to keep tuition and other college expenses down; granted this is a very, very, low priority for admin in higher education. The Poo Bah resigned after 4 years at the school. Again, for mere mortals, spending this amount of time at a single place of employment hardly counts for anything. The inspector general launched the inquiry into Northern Illinois’ hiring practices in 2014 following several anonymous tips. Illinois law requires state agencies to publicly bid out contracts for professional services from an independent contractor worth more than $20,000. Let’s see here, a million bucks on 2 years’ pay for 5 cronies…so their salary was around $100,000 a year just for being buddies with the Poo Bah. Again, this is so typical I’m surprised anyone noticed. That kind of money is standard pay for even the lowest level bureaucrats in the system, and I’ve seen campuses load up with admin holding do-nothing jobs more than enough times I’m certainly not doubting the report, only wondering how it even registered. So, let’s summarize. The Poo Bah failed at growth, failed to keep expenses down, hadn’t been at the school much time at all, and was as corrupt as, well, many Poo Bahs—most important to this, I’m sure, is that he was caught at the corruption. –Isn’t it neat how admin get to award themselves tenured positions like that? It’s funny how admin hate tenure…except when it’s theirs. He gets well past half a million dollars for saying “I quit.” Having reviewed other Poo Bah careers, I’ve learned that by quitting every few years, most Poo Bahs get more in golden parachutes than average citizens will see in their entire lives. I really want to emphasize that what he received here is typical, standard practice in higher education today, and certainly is a part of why tuition is to ridiculously high. While this could be viewed as a challenge, realistically this means nothing. Quite possibly, by reaching the agreement in a closed meeting, the Board of Trustees (sic) violated policy, and, yes, violation of that policy could well void that wonderful golden parachute. Nobody has any influence over what the Board does, so if this suit is successful, there’s absolutely nothing to stop the Board from holding another meeting, making it as open as the law says it should be…and going on ahead and awarding the exact same pile of money as before. Even if there was, somehow, a way to challenge the Board’s award after the open meeting, such a challenge would go nowhere. Why? Because the Poo Bah’s golden parachute for quitting is comparable to the bonuses other Poo Bah’s received for quitting despite extraordinary failure and corruption. The board will defend their decision as a ‘best practices’ decision. Higher education really is at the stage where the corruption and incompetence is so pervasive that you can use the claim of being corrupt and incompetent as legal justification to continue being corrupt and incompetent. Stop the student loan scam.